There is a major disconnect between what we wear and our knowledge of its impact on land, air, water, labor, and human health. Even those who value access to safe, local, nutritious food have largely overlooked the production of fiber, dyes, and the chemistry that forms the backbone of modern textile production. While humans are 100 percent reliant on their second skin, it’s common to think little about the biological and human cultural context from which our clothing derives. Almost a decade ago, weaver and natural dyer Rebecca Burgess developed a project focused on wearing clothing made from fiber grown, woven, and sewn within her bioregion of North Central California. As she began to network with ranchers, farmers, and artisans, she discovered that even in her home community there was ample raw material being grown to support a new regional textile economy with deep roots in climate change prevention and soil restoration. A vision for the future came into focus, combining right livelihoods and a textile system based on economic justice and soil carbon enhancing practices. Burgess saw that we could create viable supply chains of clothing that could become the new standard in a world looking to solve the climate crisis. In Fibershed readers will learn how natural plant dyes and fibers such as wool, cotton, hemp, and flax can be grown and processed as part of a scalable, restorative agricultural system. They will also learn about milling and other technical systems needed to make regional textile production possible. Fibershed is a resource for fiber farmers, ranchers, contract grazers, weavers, knitters, slow-fashion entrepreneurs, soil activists, and conscious consumers who want to join or create their own fibershed and topple outdated and toxic systems of exploitation..
Economics is the mother tongue of public policy. It dominates our decision-making for the future, guides multi-billion-dollar investments, and shapes our responses to climate change, inequality, and other environmental and social challenges that define our times. Pity then, or more like disaster, that its fundamental ideas are centuries out of date yet are still taught in college courses worldwide and still used to address critical issues in government and business alike. That’s why it is time, says renegade economist Kate Raworth, to revise our economic thinking for the 21st century. In Doughnut Economics, she sets out seven key ways to fundamentally reframe our understanding of what economics is and does. Along the way, she points out how we can break our addiction to growth; redesign money, finance, and business to be in service to people; and create economies that are regenerative and distributive by design. Named after the now-iconic “doughnut” image that Raworth first drew to depict a sweet spot of human prosperity (an image that appealed to the Occupy Movement, the United Nations, eco-activists, and business leaders alike), Doughnut Economics offers a radically new compass for guiding global development, government policy, and corporate strategy, and sets new standards for what economic success looks like. Raworth handpicks the best emergent ideas—from ecological, behavioral, feminist, and institutional economics to complexity thinking and Earth-systems science—to address this question: How can we turn economies that need to grow, whether or not they make us thrive, into economies that make us thrive, whether or not they grow? Simple, playful, and eloquent, Doughnut Economics offers game-changing analysis and inspiration for a new generation of economic thinkers. Big government, big business, big everything: Kirkpatrick Sale took giantism to task in his 1980 classic, Human Scale, and today takes a new look at how the crises that imperil modern America are the inevitable result of bigness grown out of control—and what can be done about it. The result is a keenly updated, carefully argued case for bringing human endeavors back to scales we can comprehend and manage—whether in our built environments, our politics, our business endeavors, our energy plans, or our mobility. Sale walks readers back through history to a time when buildings were scaled to the human figure (as was the Parthenon), democracies were scaled to the societies they served, and enterprise was scaled to communities. Against that backdrop, he dissects the bigger-is-better paradigm that has defined modern times and brought civilization to a crisis point. 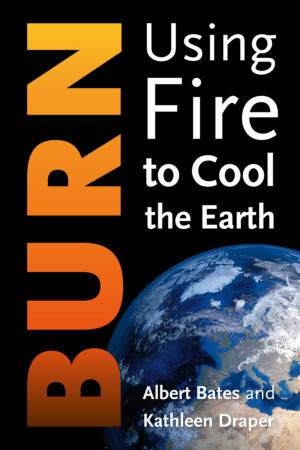 Says Sale, retreating from our calamity will take rebalancing our relationship to the environment; adopting more human-scale technologies; right-sizing our buildings, communities, and cities; and bringing our critical services—from energy, food, and garbage collection to transportation, health, and education—back to human scale as well. Like Small is Beautiful by E. F. Schumacher, Human Scale has long been a classic of modern decentralist thought and communitarian values—a key tool in the kit of those trying to localize, create meaningful governance in bioregions, or rethink our reverence of and dependence on growth, financially and otherwise. Rewritten to interpret the past few decades, Human Scale offers compelling new insights on how to turn away from the giantism that has caused escalating ecological distress and inequality, dysfunctional governments, and unending warfare and shines a light on many possible pathways that could allow us to scale down, survive, and thrive. For decades now, organizations have been struggling to find the best way to address their social and environmental responsibilities alongside their economic obligations. In other words, they want to know how best to effectively manage their operations based on a triple bottom line (3BL)—one that reflects social, environmental, and economic performance. Recently, an international standard for integrated reporting has emerged that in principle emphasizes the importance of managing toward a triple bottom line. But it fails to provide specific guidance on how to do so. Organizations have been left to their own devices to respond. How should 3BL management actually be done? In this book, sustainability and performance experts Martin Thomas and Mark McElroy introduce the world’s most advanced 3BL performance accounting methodology: The MultiCapital Scorecard. It is the first context-based integrated measurement, management, and reporting system. And, it can help corporations, public institutions, and other organizations answer the question they should be asking themselves for every aspect of their operations: “How much is enough for us to be sustainable?” The answers set internal performance standards against which operations and their impacts can be measured. Nothing less will do! The MultiCapital Scorecard describes this open-source methodology, which consists of a structured, quantitative measurement and reporting system that complies with international standards for 3BL integrated measurement and reporting. Moreover, the MultiCapital Scorecard is designed to help organizations assess their own 3BL performance in their own contexts with context-based metrics of their own choosing. An eminently practical management aid for integrated thinking, it can be tailored to any organization’s needs. The authors also describe how and why businesses are gradually shifting from managing impacts on only one type of capital (economic) to managing impacts on multiple types. They also provide detailed examples of worked reports, showing how organizations might develop and quantify the interim and long-term goals to meet their obligations to their employees, community, shareholders, and the environment. The examples also show how an organization can use the Multicapital Scorecard methodology to assess their progress in meeting those goals, and convey that progress to their stakeholders. Nearly a century ago, the idea of “local food” would have seemed perplexing, since virtually all food was local. Food for daily consumption—fruits, vegetables, grains, meat, and dairy products—was grown at home or sourced from local farms. Today, most of the food consumed in the United States and, increasingly, around the globe, is sourced from industrial farms and concentrated animal feeding operations (CAFOs), which power a food system rife with environmental, economic, and health-related problems. The tide, however, is slowly but steadily turning back in what has been broadly termed the “farm-to-table” movement. In Farm to Table, Darryl Benjamin and Chef Lyndon Virkler explore how the farm-to-table philosophy is pushing back modern, industrialized food production and moving beyond isolated “locavore” movements into a broad and far-reaching coalition of farmers, chefs, consumers, policy advocates, teachers, institutional buyers, and many more all working to restore healthful, sustainable, and affordable food for everyone. Divided into two distinct but complementary halves, “Farm” and “Table,” Farm to Table first examines the roots of our contemporary industrial food system, from the technological advances that presaged the “Green Revolution” to U.S. Secretary of Agriculture Earl Butz’s infamous dictum to farmers to “Get big or get out” in the 1970s. Readers will explore the many threats to ecology and human health that our corporatized food system poses, but also the many alternatives—from permaculture to rotation-intensive grazing—that small farmers are now adopting to meet growing consumer demand. The second half of the book is dedicated to illuminating best practices and strategies for schools, restaurants, healthcare facilities, and other business and institutions to partner with local farmers and food producers, from purchasing to marketing. No longer restricted to the elite segments of society, the farm-to-table movement now reaches a wide spectrum of Americans from all economic strata and in a number of settings, from hospital and office cafeterias, to elementary schools and fast-casual restaurants. Farm to Table is a one-of-a-kind resource on how to integrate sustainable principles into each of these settings and facilitate intelligent, healthful food choices at every juncture as our food system evolves. While borrowing from the best ideas of the past, the lessons herein are designed to help contribute to a healthier, more sustainable, and more equitable tomorrow. As inequality grabs headlines, steals the show in presidential debates, and drives deep divides between the haves and have nots in America, class war brews. On one side, the wealthy wield power and advantage, wittingly or not, to keep the system operating in their favor—all while retreating into enclaves that separate them further and further from the poor and working class. On the other side, those who find it increasingly difficult to keep up or get ahead lash out—waging a rhetorical war against the rich and letting anger and resentment, however justifiable, keep us from seeing new potential solutions. But can we suspend both class wars long enough to consider a new way forward? Is it really good for anyone that most of society’s wealth is pooling at the very top of the wealth ladder? Does anyone, including the one percent, really want to live in a society plagued by economic apartheid? It is time to think differently, says longtime inequality expert and activist Chuck Collins. Born into the one percent, Collins gave away his inheritance at 26 and spent the next three decades mobilizing against inequality. He uses his perspective from both sides of the divide to deliver a new narrative. Collins calls for a ceasefire and invites the wealthy to come back home, investing themselves and their wealth in struggling communities. And he asks the non-wealthy to build alliances with the one percent and others at the top of the wealth ladder. Stories told along the way explore the roots of advantage, show how taxpayers subsidize the wealthy, and reveal how charity, used incorrectly, can actually reinforce extreme inequality. Readers meet pioneers who are crossing the divide to work together in new ways, including residents in the author’s own Boston-area neighborhood who have launched some of the most interesting community transition efforts in the nation. In the end, Collins’s national and local solutions not only challenge inequality but also respond to climate change and offer an unexpected, fresh take on one of our most intransigent problems. 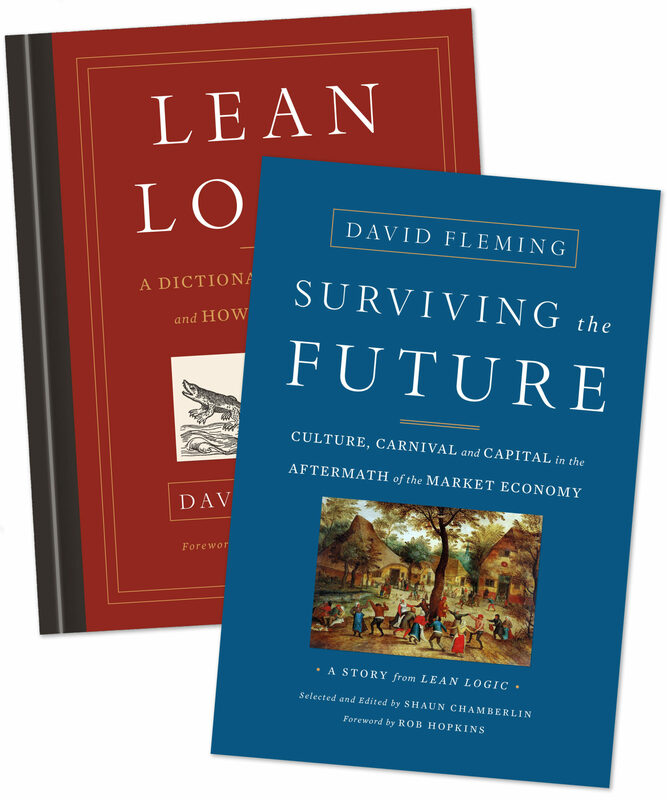 Surviving the Future is a story drawn from the fertile ground of the late David Fleming’s extraordinary Lean Logic: A Dictionary for the Future and How to Survive It. That hardback consists of four hundred and four interlinked dictionary entries, inviting readers to choose their own path through its radical vision. Recognizing that Lean Logic’s sheer size and unusual structure can be daunting, Fleming’s long-time collaborator Shaun Chamberlin has selected and edited one of these potential narratives to create Surviving the Future. The content, rare insights, and uniquely enjoyable writing style remain Fleming’s, but are presented here at a more accessible paperback-length and in conventional read-it-front-to-back format. This is the world that many of us want to live in, yet we are told it is idealistic and unrealistic. With an evident mastery of both economic theory and historical precedent, Fleming shows that it is not only desirable, but actually the only system with a realistic claim to longevity. With friendliness, humor, and charm, Surviving the Future plucks this vision out of our daydreams and shows us how to make it real. Two inspiring books for one price. In partnership with Fleming’s estate and his close friend and collaborator Shaun Chamberlin, Chelsea Green Publishing is publishing Fleming’s posthumous work—Lean Logic: A Dictionary for the Future and How to Survive It, with a foreword by Jonathon Porritt. Characteristic of Fleming’s wit, whimsy, and rebellion, he chose an all but bygone form—a written dictionary—to express his views of a future beyond industrial capitalism. A dictionary unlike any other, Lean Logic leads readers through Fleming’s exploration of fields as diverse as culture, history, science, art, logic, ethics, myth, economics, and anthropology, comprised of more than 400 essay-entries covering topics such as Boredom, Community, Debt, Growth, Harmless Lunatics, Land, Lean Thinking, Nanotechnology, Play, Religion, Spirit, Trust, and Utopia. The beauty of the linked dictionary format is that it allows Fleming to draw attention to connections that might otherwise be overlooked (each definition contains pointers to related entries) without detracting from his in-depth exploration of each topic. This also allows readers to follow a narrative that reflects their own inquisitive journeys. And since Fleming’s death in 2010, Chamberlin found growing demand among fans of his work for a paperback version, to concisely present his rare insights and uniquely enjoyable writing style in a more conventional read-it-front-to-back format, perfect for readers discovering Fleming for the first time. So, alongside Lean Logic, Chelsea Green is publishing Surviving the Future: Culture, Carnival and Capital in the Aftermath of the Market Economy, edited by Chamberlin, with a foreword by Rob Hopkins. 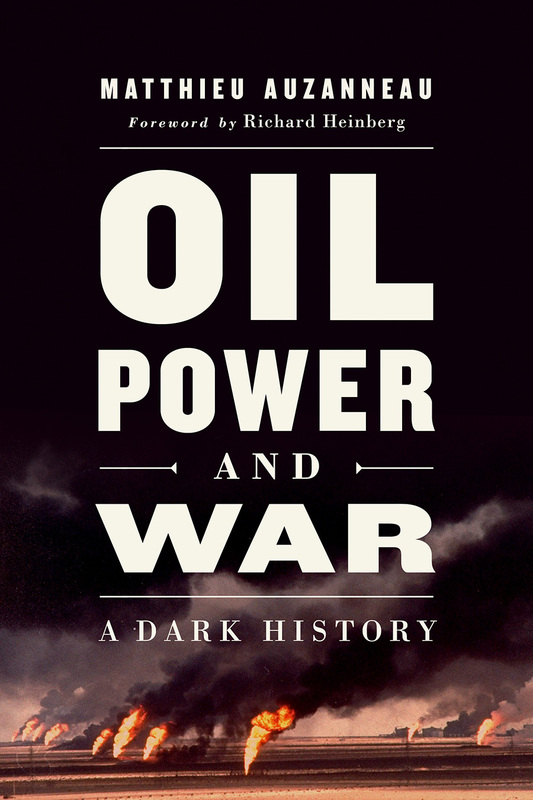 The book’s subtitle hints at Fleming’s compelling alternative, and there is no doubt that his far-sightedness has become even more apparent over recent years. 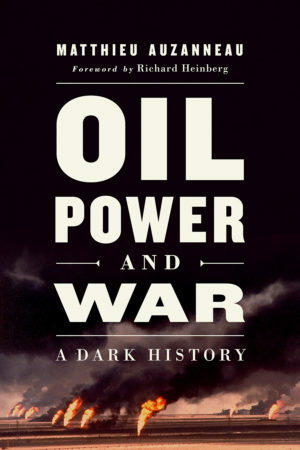 He foresaw the schisms and convulsions shaking the economies of Europe, and was among the first in the world to reveal the ongoing pressure on oil supply and predict the subsequent growth in “unconventional” oil and gas, with all its consequences. Fleming acknowledges, with honesty, the challenges we face. But rather than inducing despair, Lean Logic and Surviving the Future inspire optimism in the creativity and intelligence of humans to nurse our ecology back to health; to rediscover the importance of place and play, of reciprocity and resilience, and of community and culture. Ironically, the post-growth society Fleming envisioned can only come to pass after his death. This bundled set offer is only available from Chelsea Green. Lean Logic is David Fleming’s masterpiece, the product of more than thirty years’ work and a testament to the creative brilliance of one of Britain’s most important intellectuals. A dictionary unlike any other, it leads readers through Fleming’s stimulating exploration of fields as diverse as culture, history, science, art, logic, ethics, myth, economics, and anthropology, being made up of four hundred and four engaging essay-entries covering topics such as Boredom, Community, Debt, Growth, Harmless Lunatics, Land, Lean Thinking, Nanotechnology, Play, Religion, Spirit, Trust, and Utopia. The threads running through every entry are Fleming’s deft and original analysis of how our present market-based economy is destroying the very foundations—ecological, economic, and cultural— on which it depends, and his core focus: a compelling, grounded vision for a cohesive society that might weather the consequences. A society that provides a satisfying, culturally-rich context for lives well lived, in an economy not reliant on the impossible promise of eternal economic growth. A society worth living in. Worth fighting for. Worth contributing to. The beauty of the dictionary format is that it allows Fleming to draw connections without detracting from his in-depth exploration of each topic. Each entry carries intriguing links to other entries, inviting the enchanted reader to break free of the imposed order of a conventional book, starting where she will and following the links in the order of her choosing. In combination with Fleming’s refreshing writing style and good-natured humor, it also creates a book perfectly suited to dipping in and out. The decades Fleming spent honing his life’s work are evident in the lightness and mastery with which Lean Logic draws on an incredible wealth of cultural and historical learning—from Whitman to Whitefield, Dickens to Daly, Kropotkin to Kafka, Keats to Kuhn, Oakeshott to Ostrom, Jung to Jensen, Machiavelli to Mumford, Mauss to Mandelbrot, Leopold to Lakatos, Polanyi to Putnam, Nietzsche to Næss, Keynes to Kumar, Scruton to Shiva, Thoreau to Toynbee, Rabelais to Rogers, Shakespeare to Schumacher, Locke to Lovelock, Homer to Homer-Dixon—in demonstrating that many of the principles it commends have a track-record of success long pre-dating our current society. Recognizing that Lean Logic’s sheer size and unusual structure could be daunting, Fleming’s long-time collaborator Shaun Chamberlin has also selected and edited one of the potential pathways through the dictionary to create a second, stand-alone volume, Surviving the Future: Culture, Carnival and Capital in the Aftermath of the Market Economy. The content, rare insights, and uniquely enjoyable writing style remain Fleming’s, but presented at a more accessible paperback-length and in conventional read-it-front-to-back format. Recent years have seen a proliferation of information on how to make change—in business, in social and environmental movements, and on a more personal scale. But, even with all this attention, two out of three change efforts fail to achieve their desired result. How can you make your own effort buck this trend? In Parachuting Cats into Borneo, change-management experts Axel Klimek and Alan AtKisson offer crisp, concise, and targeted advice for success. They expose the most significant impediments—helping readers recognize their habitual patterns of thinking and perceiving a situation, critique their own beliefs regarding change, and then move beyond these unhelpful patterns using improved systems thinking. Named after a classic tale of unintended consequences, Parachuting Cats into Borneo delivers tools that help leaders and others keep their change initiatives on track. The advice imparted will help you move away from agonizing over immediate problems toward stoking action, identifying collaborators, focusing at the right level for your cause, and aiding others in pursuing their change. 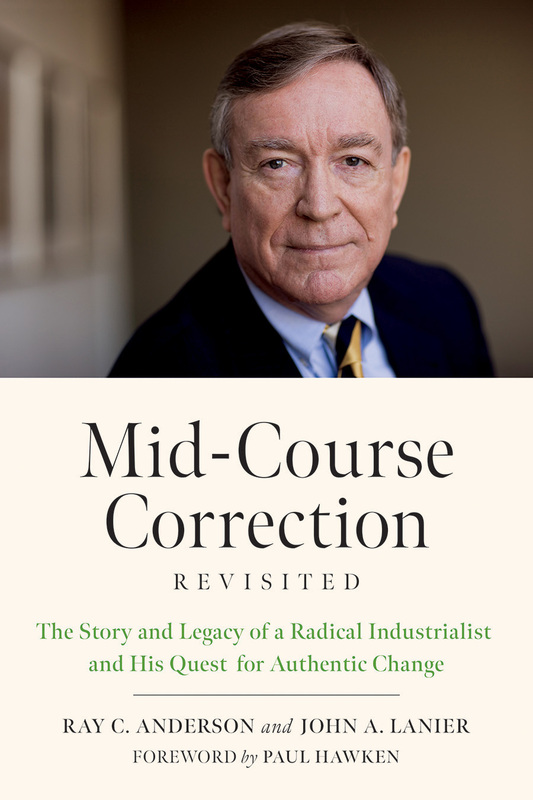 Klimek and AtKisson draw from their decades of helping corporations, networks, governments, and NGOs reach their change goals to demonstrate how to use system-based change tools to their maximum advantage. A closing section is devoted to change making in the realm of sustainability, where complexity abounds but the right tools, used well, can help us tackle some of the most significant challenges of our time. Our world is facing unsustainable global trends—from climate change and water scarcity to energy insecurity, unfair labor practices, and growing inequality. Tackling these crises effectively requires a new form of leadership—a collective one. But, in a world of many silos, how do we get people to work together toward a common goal? That is one of the most important questions facing sustainability and social-change professionals around the world, and it is a question that Petra Kuenkel answers in The Art of Leading Collectively. Readers learn how to tackle system change for sustainable development, reimagine leadership as a collaborative endeavor, retrain leaders to work collectively, and manage diverse groups through a change process that has sustainability as a guiding focus. Drawing upon two decades of pioneering, internationally recognized work orchestrating multi-stakeholder initiatives, Kuenkel presents her chief tool, the Collective Leadership Compass, and shows others how to use it with large groups of diverse stakeholders to solve complex, urgent problems—particularly those that enmesh business activities, governance, human needs, and environmental impacts. The book offers many examples of collective leadership efforts involving corporate, public, and nonprofit sectors around the world. Readers learn about the processes that led to a sustainable textile alliance and set standards for sustainable cocoa and coffee production and trade, as well as those that helped nations rebound from war, develop sustainable infrastructure, and tackle resource conflicts with global businesses, to name a few.